Read more about Microsoft's latest generation of ERP software. Effectiveness in technology. That is the slogan with which Hamer Installatietechniek profiles itself. Thanks to that same decisiveness, the installation company could silently go live with Microsoft Dynamics AX. “HSO advised an implementation in two phases. That was a good choice. Hammer installation technology is part of the Foja group, a family business with more than 350 employees, since 1995 under the management of General Manager and owner Fons Jans. The head office is located in Apeldoorn. In addition, the company has branches in Assen, Rosmalen and Zwijndrecht (Belgium). With a passion for technology and decisive service, Hamer unburdens its customers by supplying innovative and sustainable technical products and solutions. 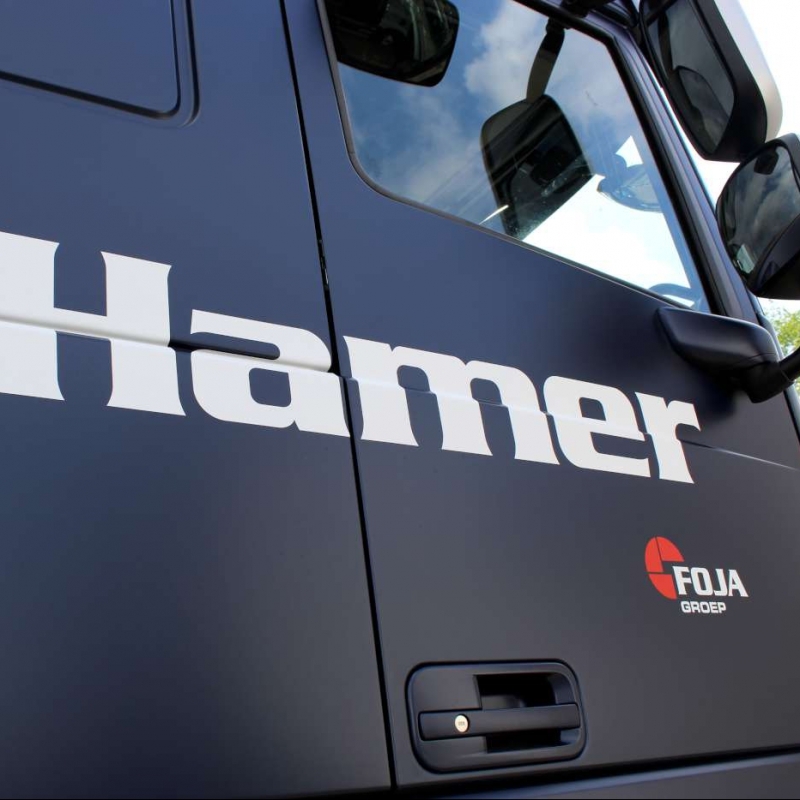 Hamer is active as a true technical integrator in the petrol, automotive, industrial and utility sectors in the Benelux. In addition to the construction of high-quality and innovative technical installations, Hamer also provides complete turnkey projects in these sectors. The Service & Maintenance department is active 24/7 and ensures that installations are optimally maintained and failures are kept to a minimum. Furthermore, Hamer establishes complete automotive and industrial workshops and virtually all workshop tools and equipment can be ordered directly online. Finally, Contrall coordinates project realization as an independent project agency within the Foja group, projects from design to completion. “A lot of data had to be entered several times. Customer data was in the Microsoft Dynamics CRM system, in the financial package and in the project administration. It was difficult to send projects based on figures. Only by comparing the pre-calculation with the actual costs on paper could we get a sense of progress. While it is precisely that management of returns that is so important, “says Huis in ‘t Veld. "Thanks to Dynamics AX, we achieved revenue growth with ultimately the same number of indirect employees." "We are also enthusiastic about the integrated solution that we now have in-house. There is a nice flow in Microsoft Dynamics AX: a customer starts as a prospect in the CRM system and becomes a client with projects. The system also supports the process from quotation to invoice. It is too early to show all the results, but we see that we now have much better control over our processes. "